This post marks a first in a series of future articles I'd like to devote to lesser known individuals of the Walt Disney Studio. The young man pictured to the right is Robert James Lewis of Novato, California; a onetime aspiring filmmaker and employee of the Studio from 1955-1959. My discovery of him - like many Disney employees lost to time - was accidental. In conducting research for my article, Perri: A One-of-a-Kind Disney Adventure, I had learned that Lewis was an assistant to effects animator, Joshua Meador, on animated segments of Disney's Perri (1957). 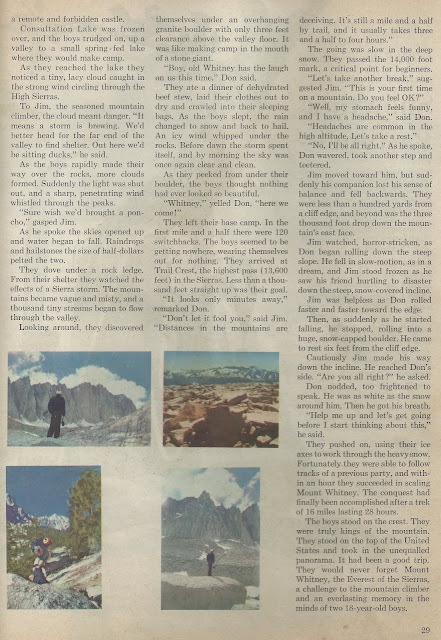 With my interest piqued, I began preliminary research on Lewis and was pleased to find a string of newspaper articles published during his stint at Disney. Here, I will share my findings, but Lewis' story is by no means complete. Thanks to this online medium, articles such as these can be updated at anytime. Therefore, I welcome my readers to reach out if they know anything about individuals like Lewis. Together, we can ensure that creative individuals such as Lewis are no longer lost to the past and preserved for the future. Robert James Lewis was born on May 13, 1936 in Sausalito, California to Robert Ernest Lewis of California and Elizabeth Gail Binford of Utah (although Robert James Lewis shared his father's first name, past articles refer to him as Jim, Jimmy, or James, so to avoid confusion, this article will now refer to the subject of this article as James Lewis and his father as Robert Lewis). James Lewis spent his youth growing up in Marin County, California until his employment at the Walt Disney Studio at nineteen-years-old. His father, Robert, was a commercial artist (according to the 1940 census, Robert Lewis was a commercial artist for a "textile manufacturing company"). 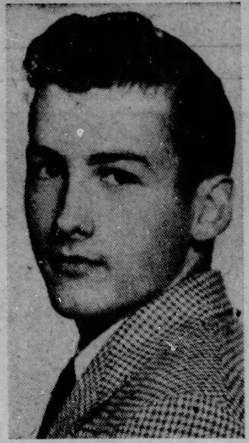 James Lewis was a 1954 graduate of San Rafael High School (during which time he bought his first film camera) and studied art for a year-and-a-half at the College of Marin. Lewis took a keen interest in film, and enjoyed shooting personal films with family and friends. James Lewis' hiring at the Walt Disney Studio as an inbetweener on August 2, 1955 was a fortuitous one. Kenneth Seiling was Personnel Director of the Studio at the time, and happened to be acquainted with James Lewis' Uncle George Schuchert and Aunt Gertrude Binford of Burbank, California. A visit to a newly opened Disneyland is what brought the Lewis family to southern California the summer of 1955. The interview with Seiling fell shortly after. 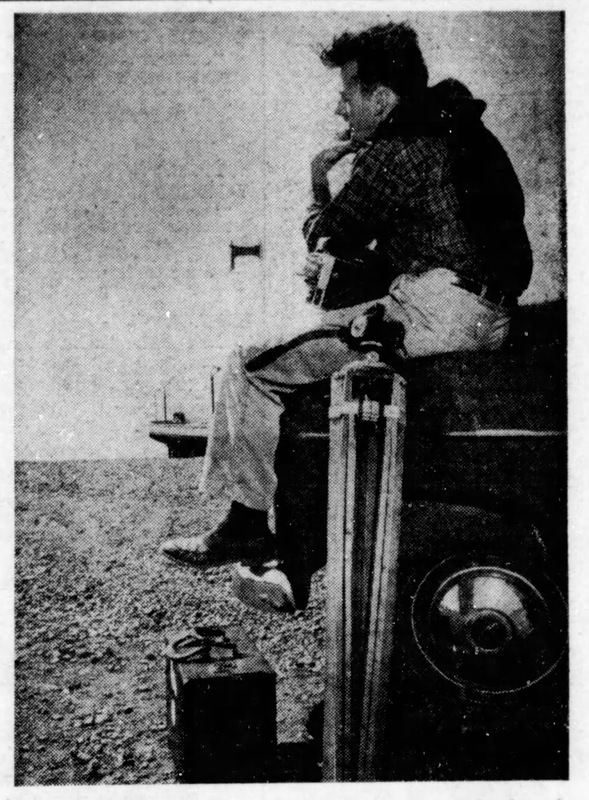 According to an August 3, 1955 Daily Independent Journal (San Rafael, CA) article: "After more than five hours of interviews during which James exhibited his portfolio of animations, photographic work and cartoons, the youth was complimented on his general attitude and enthusiasm." Lewis got a call 24 hours later and landed a position as an inbetweener (apparently starting on a Donald Duck cartoon). Lewis resided with his aunt and uncle in Burbank while working at Disney. 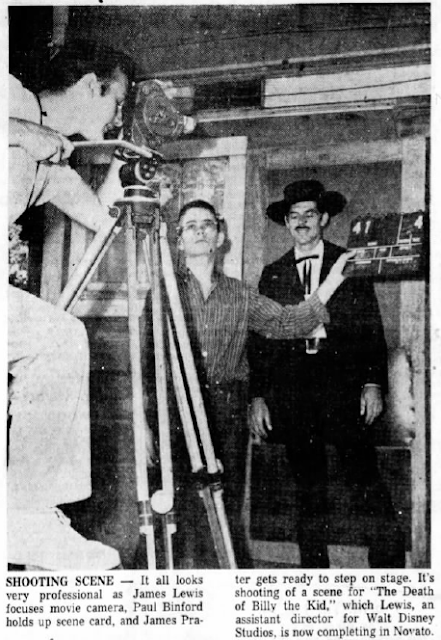 In March of the following year, Lewis was then promoted to assistant animator under Al Severance, thus bypassing the position of breakdown artist (at Severance's insistence according to a March 9, 1956 Daily Independent Journal article). At the time of his promotion, Lewis was working on an "atom picture" (presumably the 1957 Disneyland television episode, "Our Friend the Atom") and gearing up for work on Sleeping Beauty (1959). Lewis worked for Disney by day, but by night he apparently exercised his interest in filmmaking in the hopes of capturing footage for Disney Studio consumption. By the mid-50s, Walt Disney's interest in live-action films and television shows was in full swing, and Lewis saw this as an opportunity. 1957 Daily Independent Journal articles reference footage Lewis captured at various points throughout that year with the intention of showing them to Disney. 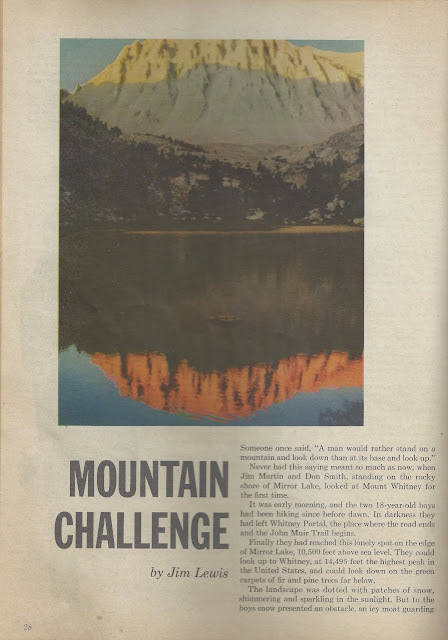 Some of the various footage included snow and ice scenery at Mammoth Lakes and Lakeport, California along with underwater shots of trout "from the fishes point of view." 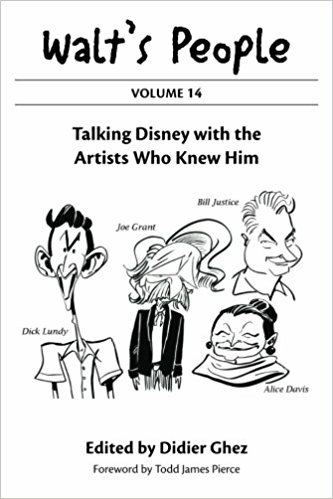 In one article, there was reference to Lewis' association with a certain artist named John Noel Tucker (according to Internet databases, Tucker was an animator for several studios throughout the 30's and 40's, including Disney). The extent of their relationship is not known, but Lewis did put together a film highlighting Tucker's watercolor technique with the intention of it being utilized during lectures. 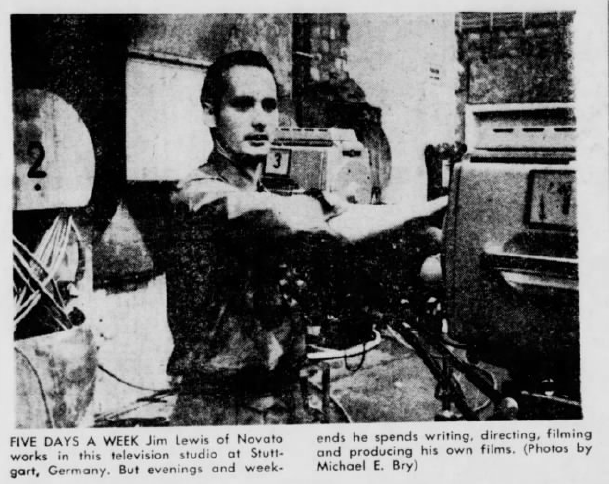 It was around this time (May of 1957) that Lewis was promoted, yet again, to effects animator under the tutelage of master effects animator of the time, Joshua Meador. Their first noted project was Disney's one-and-only True-Life Fantasy, Perri. Essentially, Lewis worked with Meador to create animated effects of snowflakes and sparkly transitions of animals morphing during a dream sequence. The relationship that Lewis and Meador shared is worth mentioning. Not only did they continue to work on projects together throughout 1957 (including work on Disney's Zorro television series), but they became quite friendly outside of the Studio. In late November of 1957, Lewis' parents were invited on the set of Zorro and the following evening dined with Mr. and Mrs. Meador at their California residence. James Lewis was certainly making a good impression at Disney. "Magic Highway, U.S.A." in August of 1957. 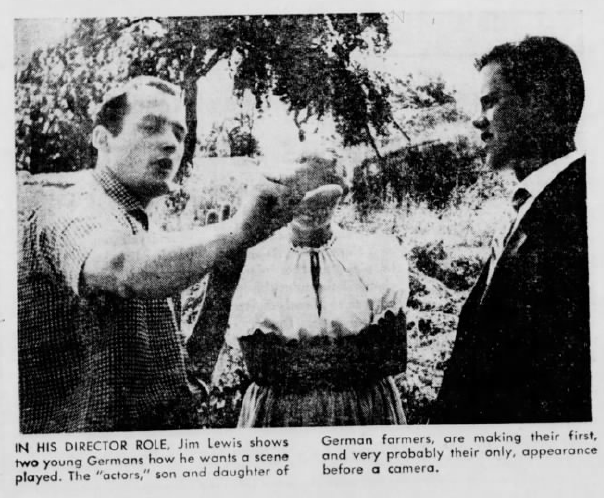 What's especially evident in reading past newspaper articles about James Lewis is how involved his family was in advocating his love for film. Several of the personal films Lewis shot involved the help of various family members, including that of his parents. His father, Robert Lewis, was often credited for the sound effects in his son's films. On one particular occasion while working on a personal film entitled Ghost Town, Marin County police were called to Robert Lewis' residence due to complaints of loud noises and gun shots. Police soon discovered that the family was simply recording audio sound effects for James Lewis' movie. 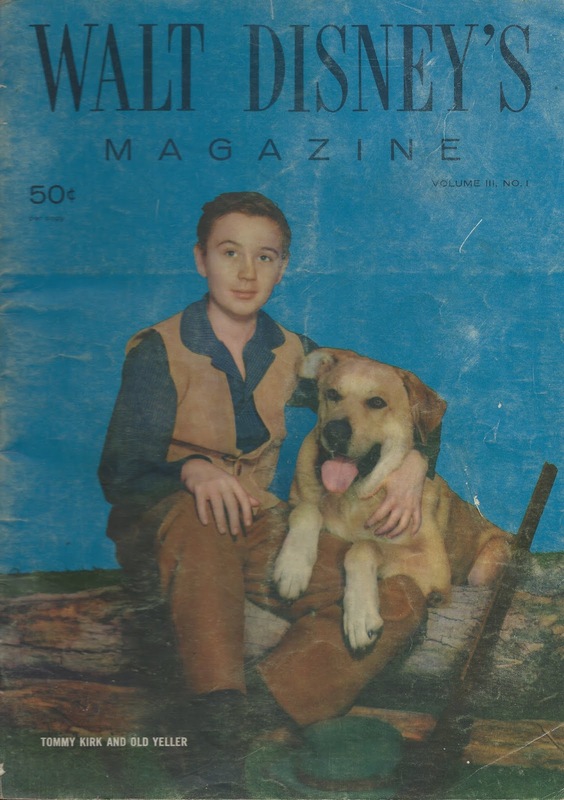 In August of 1958, the Lewis and Binford families collaborated on another James Lewis project called The Death of Billy the Kid. Lewis' own maternal grandmother, Gail Binford, starred in the film. The movie essentially recounted the death of the American Old West's famous outlaw and gunfighter. James Lewis' driving motivation for producing such a film was to prove to Walt Disney himself that he was capable of taking the reigns as a live-action director. Whether Disney ever saw the finished film is unknown, but at the time, this personal film was a semi-exciting ordeal in Lewis' hometown of Novato. In 1959, Lewis enlisted in the Army, thus ending his short tenure at Disney. He was assigned to the Army Dental Laboratory in Bad Kreuznach, Germany. There he met his future wife, Ingeborg Estenfeld (a dental hygienist at the laboratory), who he would marry in late February of 1961. After his release from the Army by 1962, Lewis decided to remain in Germany because he felt more opportunities awaited him there rather than Disney back in California. He was quickly hired as a cameraman for a German television network out of Stuttgart. During and after his enlistment, Lewis spent much of his free time filming his surroundings in Germany while befriending many of the locals (many of which willingly assisted him and starred in Lewis' personal films). According to a 1962 Daily Independent Journal newspaper article out of San Rafael, California, some of Lewis' projects were financed by a "German" that Lewis met while sketching in Bad Kreuznach. The "German" is never mentioned by name, but Lewis and him spent much time together, and in return this mysterious individual asked for profits made on Lewis' films in return. One particular aspiration that Lewis had was to produce a film inspired by Schumann's Rhine Symphony. The film was produced and depicted a collage of Lewis' personal footage such as: clouds, rivers, German locales, and interior shots of a Baroque church on the Rhine, while driven by Schumann's music. In a way, it was Lewis' own live-action Fantasia. The final product was sold to the Southern Germany and Danish TV networks. 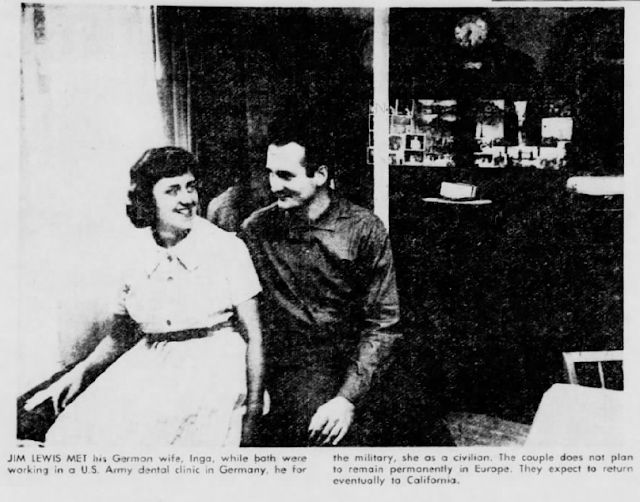 James Lewis with his wife, Ingeborg Estenfeld, in Germany around 1962. Although Lewis grew homesick and wished to return to California someday with his wife, Inga, the two remained in Germany. Throughout the ongoing years, Lewis continued to work for German television and shot and engineered the sound on his personal films. Lewis, in fact, felt much more free as an artist in Germany than he did under the restrictions of unions back in the States. "I have a chance to do something on my own here," he shared with Daily Independent Journal reporter, Ellen Bry, in 1962. With a flair for Disney coupled with his love for filmmaker Sergei Eisenstein, Lewis went on to create personal projects that focused on the romance of life and nature in documentary form. Lewis told Bry that he felt there was no room for the documentary form in the U.S. at the time and that filmmaking focused more on cowboys and mysteries. His love for life and film was palpable to the German natives he encountered. 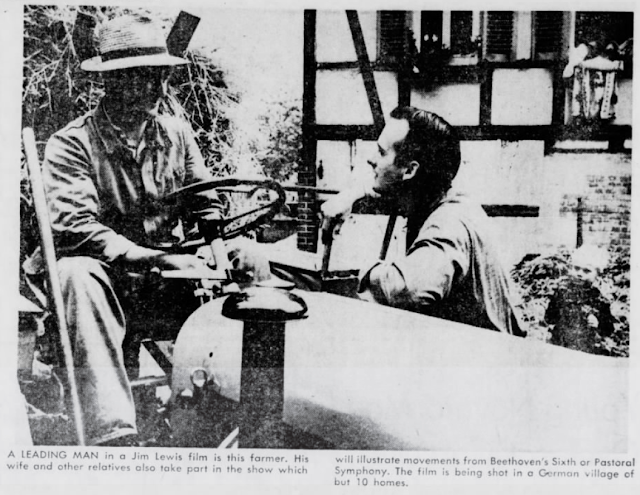 On one particular project, citizens of a German village opened up their homes and barns to Lewis, and even assisted him in setting up shots for scenes in a film driven by the works of Beethoven. Through his interactions with the German culture, Lewis' fluency at speaking its native tongue improved and he became more and more ingrained in the German way of life. Apart from two of Lewis' personal films receiving attention at film festivals in France and San Francisco throughout the 60's, any documented attention regarding James Lewis' life and work reached a dead end. Attempts to reach out to members of the Binford family were made with no response. The historical society of Novato, California was gracious with their time, but had no information regarding this once Novato native. Lewis' mother, Elizabeth, passed away in 1985, and the obituary at the time listed James Lewis as still living with his wife, Inga, in Germany. Lewis turned 82 this past May, but whether he is alive or not is unknown to this researcher. With that said, I welcome any who know anything about James Lewis' life and his creative endeavors to reach out. No matter how small Lewis' contributions to the Disney Studio and filmmaking seem to be, he was an active player nevertheless, and like Walt Disney, was drawn to imagination. Please feel free to comment or reach out to me personally regarding James Lewis at vrand83@gmail.com. A fascinating article! Thanks for all your research! Michael, so glad you enjoyed it. Please keep checking in. All the best!